Our Towards Safer Speeds Challenge provides one-off grants of up to $50,000 for road safety projects that can be delivered in a local community. An extension of the Community Road Safety Grants program, the Towards Safer Speeds Challenge aims to boost community road safety in unique and community-focused ways, helping us on our path Towards Zero(External link). 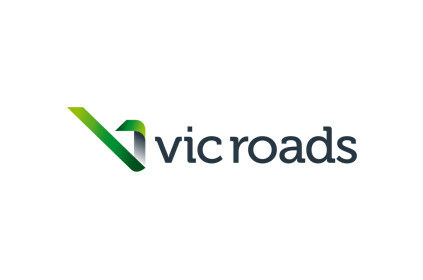 This year the key challenge as identified by VicRoads is safer speeds. Speed determines the outcome of every crash on Victoria's roads, and research shows small changes in speed can result in a significant reduction in road trauma. Speed includes travelling above the speed limit and travelling too fast for the road, weather and traffic conditions. For our fragile bodies, even a small change in speed can mean the difference between life and death. This is especially true for vulnerable road users such as pedestrians, motorcyclists, cyclists and particularly children and older people. Safer speeds reduces the impact forces in the event of a crash and therefore the crash severity. It also allows road users more time to observe and react to assess hazards and avoid a crash. We're also thinking about safer speed in terms of that which delivers additional health and social benefits such as greater community liveability and increased opportunities for social interaction and increased health and wellbeing. As the eyes and ears of your community, you have valuable insight into the expectations your community has about road safety. You also have the ability to influence and lead a positive community conversation about safer speeds and its connection to reducing road trauma and creating vibrant communities. At the conclusion of this program, we want to see communities that are more liveable, socially cohesive, environmentally friendly and understanding of the impact of speed, with a view to an area being traffic calmed and a proposal to reduce speed getting underway. Applications for 2018/2019 have closed. Read our program guidelines [PDF 486 Kb] for more information on the application and selection process. If you would like to discuss your application, contact your local Community Road Safety Coordinator.